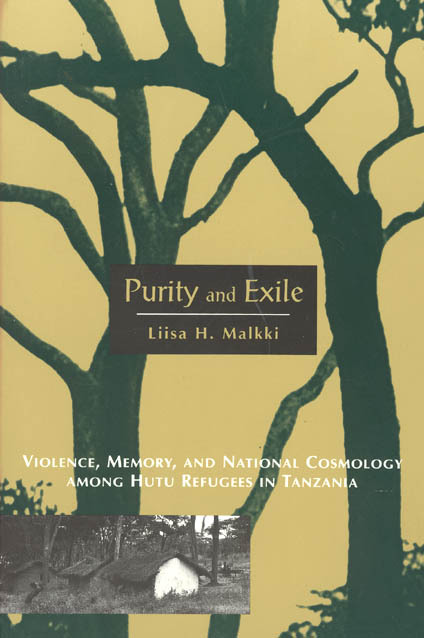 In this study of Hutu refugees from Burundi, driven into exile in Tanzania after their 1972 insurrection against the dominant Tutsi was brutally quashed, Liisa Malkki shows how experiences of dispossession and violence are remembered and turned into narratives, and how this process helps to construct identities such as "Hutu" and "Tutsi." Through extensive fieldwork in two refugee communities, Malkki finds that the refugees’ current circumstances significantly influence these constructions. Those living in organized camps created an elaborate "mythico-history" of the Hutu people, which gave significance to exile, and envisioned a collective return to the homeland of Burundi. Other refugees, who had assimilated in a more urban setting, crafted identities in response to the practical circumstances of their day to day lives. Malkki reveals how such things as national identity, historical consciousness, and the social imagination of "enemies" get constructed in the process of everyday life. The book closes with an epilogue looking at the recent violence between Hutu and Tutsi in Rwanda and Burundi, and showing how the movement of large refugee populations across national borders has shaped patterns of violence in the region.